Happy Christmas Eve! 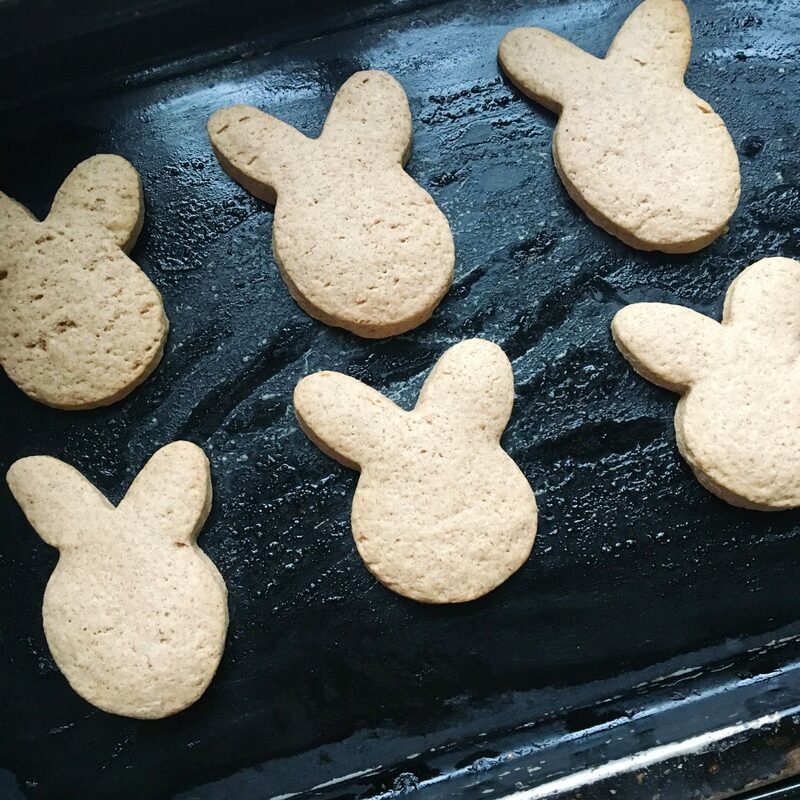 Today marks the last day of Blogmas, and what other way to go out than with some adorable cookies? 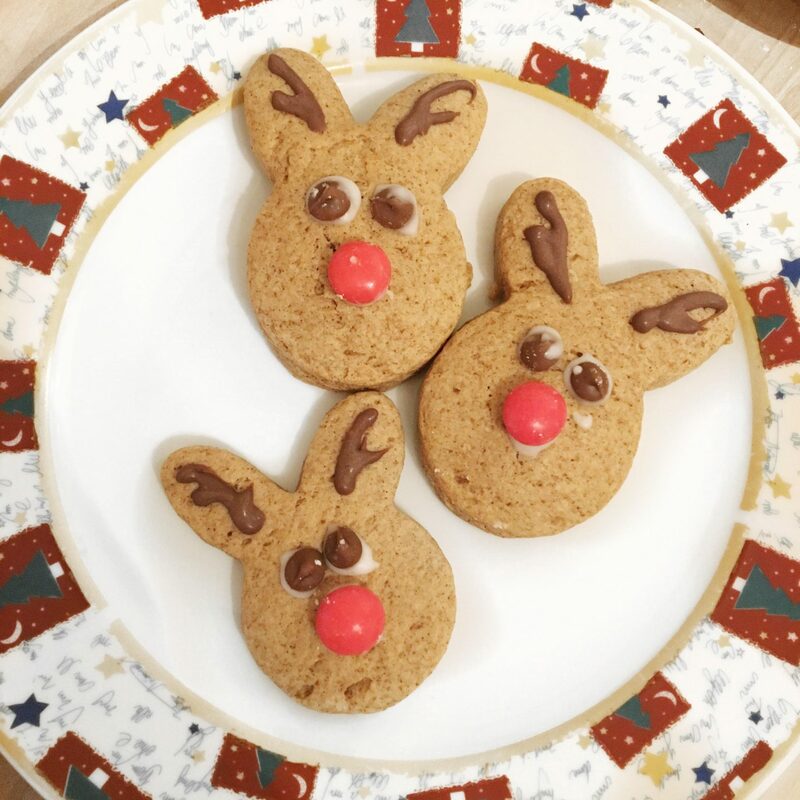 If you’d like to find out how to bake Reindeer cookies, then keep reading! 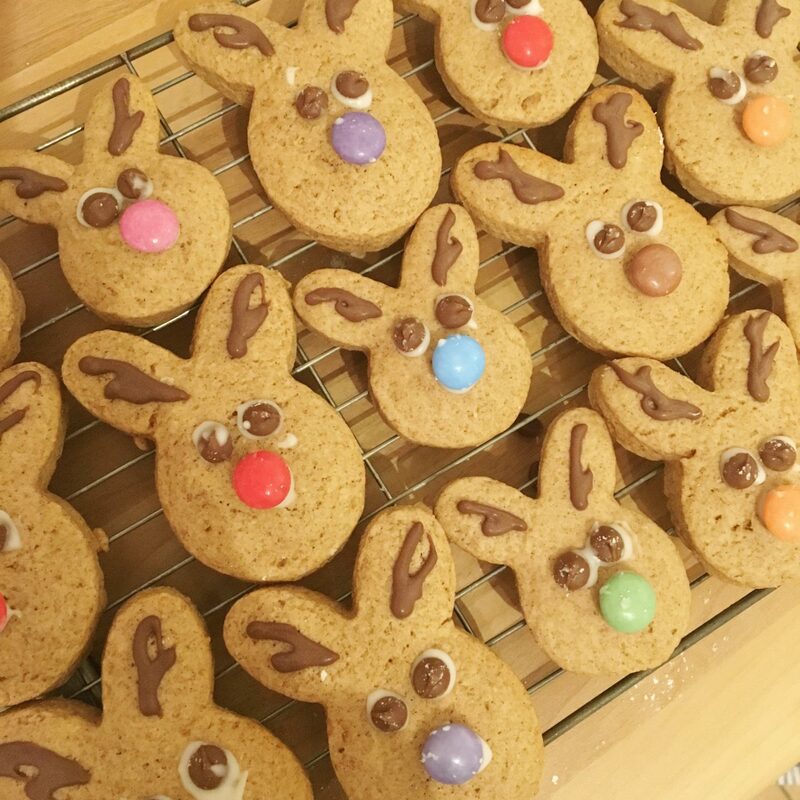 I’ve made these today, and it feels like it’s taken all day, as I started early this morning, then had to nip to Tesco for the Smarties, Icing and Chocolate. Then I may have fallen asleep, so when I woke up I finally finished them. I’d say this is one of my better bakes with how fun it’s been, as it’s something different from the others. I also thought the decorating would be a lot harder than it actually was. These are Cinnamon flavour, but if that isn’t your thing, I have a recipe for Chocolate Orange Brownies. Anyway let’s get into the baking; this is how to bake Reindeer Cookies. In a separate bowl mix the butter and sugar until smooth. Once smooth add the egg and mix well. 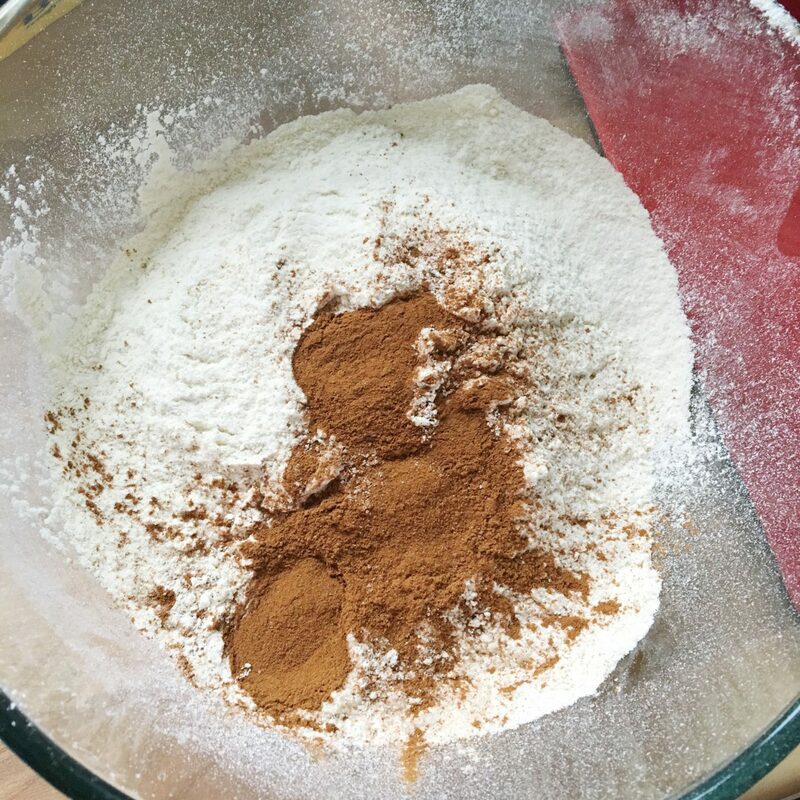 Stir in the dry ingredients and mix until the dough is firm. 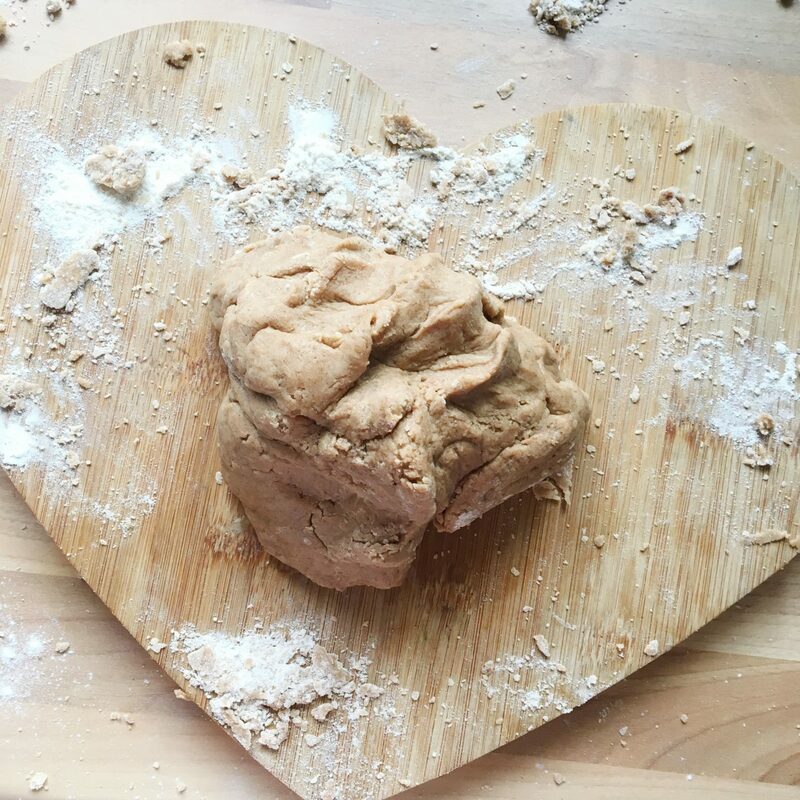 Put the dough on a lightly floured board and knead until smooth. Using a rolling-pin, roll the dough out to as think or as thick as you would like the cookies to be. Once rolled out, cut into shapes. I actually used a Rabbit cut out that I got for Easter, and made them look like Reindeer with the decorations. Once done place on a greased baking tray. Bake in the oven until they are a light gold colour. This should take around 10-15 minutes. Let cool and harden. I don’t know how much icing sugar I actually used, but I definitely ended up wasting a lot of it. In reality you don’t need that much, as it’s to stick the chocolate chips and smarties down. I made the icing first, and then put the smarties in a bowl and the chocolate chips in another bowl. Take your smartie and dip one side into the icing. Once you’ve done that, place it onto the centre pressing lightly to ensure it’s stuck. Afterwards do the same with the chocolate chips, but place them above the smarties for the eyes. Then get your chocolate pen and draw little antlers on the ears. Leave to set and you have your Cinnamon Reindeer cookies! I hope you all have a fab Christmas, and enjoy your day! Merry Christmas, and thank you for reading! 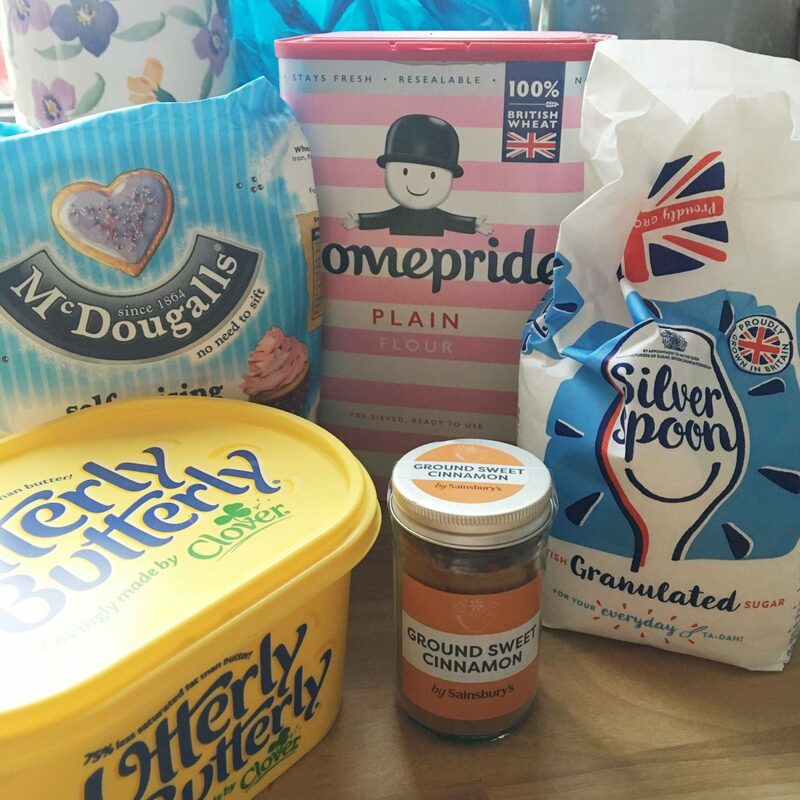 "Blogmas Day 23: What I’ve Learnt From Blogmas"
These are so adorable! Thanks for sharing! Oh these look awesome, how fun! 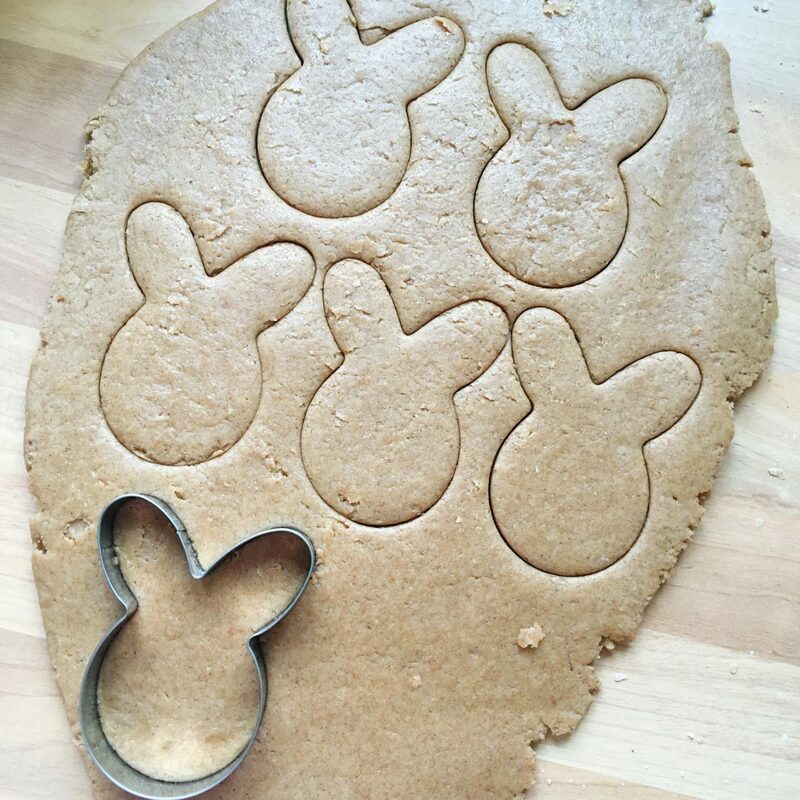 I like the idea of reusing a bunny cookie cutter – when you finish decorating you’d never know! 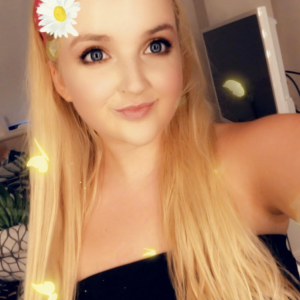 Hope you had a wonderful Christmas and are having a great week! I’m enjoying that quiet lazy period between Christmas and New Years and relaxing a bit. these look so adorable and really yummy!! Those cookies look so adorable and delicious! Too bad that Christmas is over. Those cookies look so good, and cute! These are so ridiculously cute! I still consider it the holidays (okay, maybe I’m in denial), so I’ll have to make some of these ASAP :). Keep it up the good work. These are adorable, need to make these! I think I might put some ginger and make them a little gingerbread-y. These reindeer cookies are adorable and they look so easy to make too! I’ll definitely be giving these a go next Christmas! Great post! They look so incredibly cute! I might try a gluten free version of this! Have a wonderful 2018!